If you are an expert in this field, then you are already aware of the potential issues and time that goes into trying to install and manage 32 bit drivers. For those who aren't experts, if you are using Windows server 2008R2 adding and managing 32 bit drivers requires some extra work. One of the more popular approaches requires you to install the 32 bit drivers from a 32 bit client workstation and the driver names have to match exactly with its 64 bit version. This might not seem so bad at first, but if your organization uses numerous model specific drivers, that one off ten minute task just turned into a full days work IF you don't run into any issues. Windows server 2012 and 2012R2 have provided a new Type-4 driver that works across both 32 and 64 bit operating systems which saves you from needing to do the above steps, but with it being so new there isn't a whole lot of support for them yet so Type-3 drivers are still primarily used, which means you are back to adding 32 bit drivers separately and making sure the names match exactly. Instead of pounding your head on your keyboard, trying to reinvent the wheel in this situation, let's instead look at how to best utilize a solution that can make that management a lot easier. PrinterLogic's print management software offers an intuitive solution that puts a powerful tool set at your fingertips that will allow your 32 bit and 64 bit drivers to coexist with hardly an effort. Once the software has been installed, you are provided with a web based administration console that can be accessed from any web enabled device on your network. 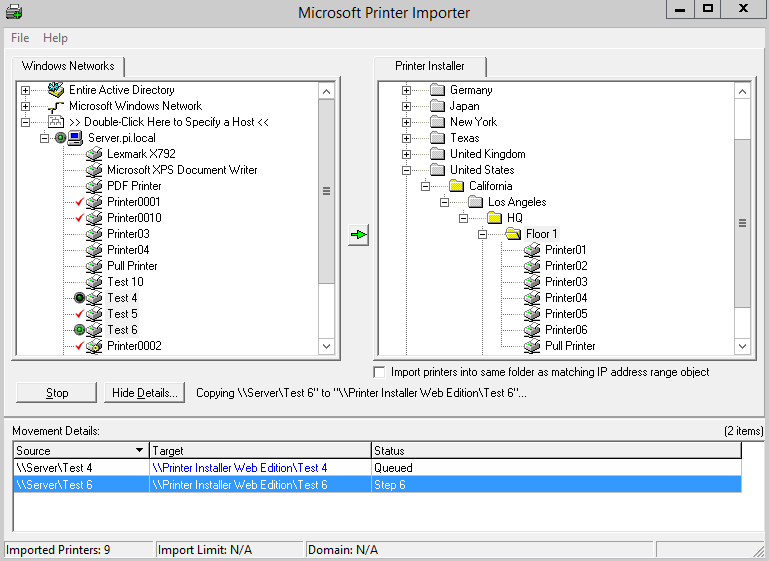 In this administration console you can use a built in tool that will connect to any existing Windows or Novell print server and import all of the print queues with their respective drivers and printing configurations (that way, if you have already put forth the effort of adding all of the 32 bit drivers you won't have to do it again). 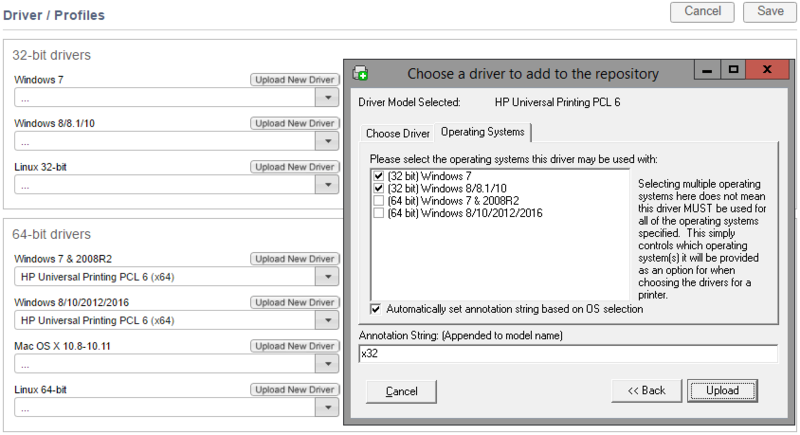 If you need to add 32 bit drivers, simply click the “upload new driver” button, browse to the driver's .INF file and click upload. The software will look at the INF file and automatically determine if it is 32 bit or 64 bit and what operating systems it is compatible with. When it is done being uploaded to the driver's repository you can assign it to any printer you like and what operating systems you support. 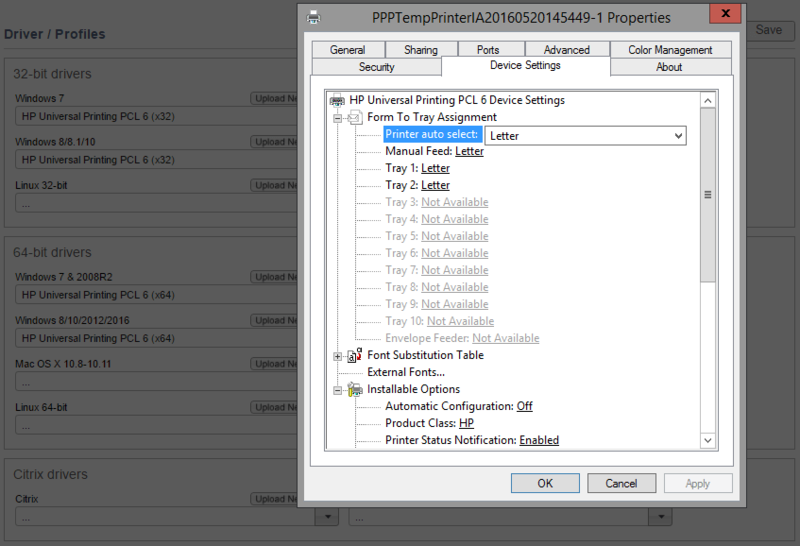 If you needed to configure any default printing preferences or tray configurations, PrinterLogic offers profiles for each driver that are fully customizable and utilize the assigned drivers native configuration interface. Once created and applied, everybody with that printer will automatically have those configurations applied to their printer. In addition to what has been covered, PrinterLogic has the ability to eliminate print servers altogether, further reducing the 32 bit and 64 bit driver management issues, provide a self service printer installation portal for your end users, integration with Citrix and VMware environments, mobile printing, releasing printing, print job auditing and much much more. To find out more about our solution, visit us at www.printerlogic.com for a demo and a free trial and see if it's the right fit for you.